Set of 6 place mats. SOLD. One of the place mats. 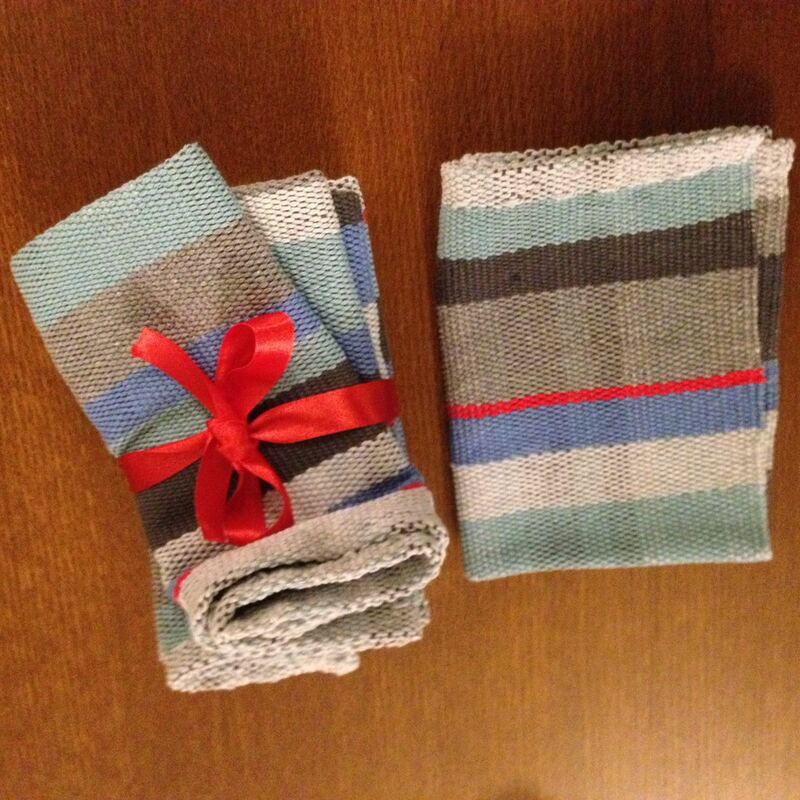 The exact stripe pattern varies, but the general colour and width of stripes is the same for each. SOLD. 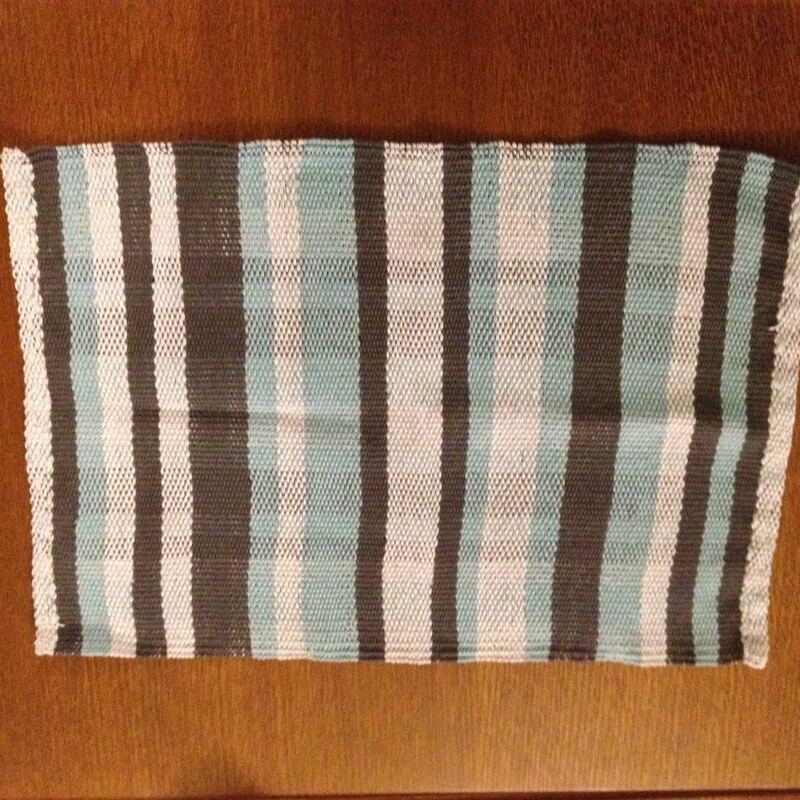 Set of 6 place mats. 100% cotton. Washable. SOLD. 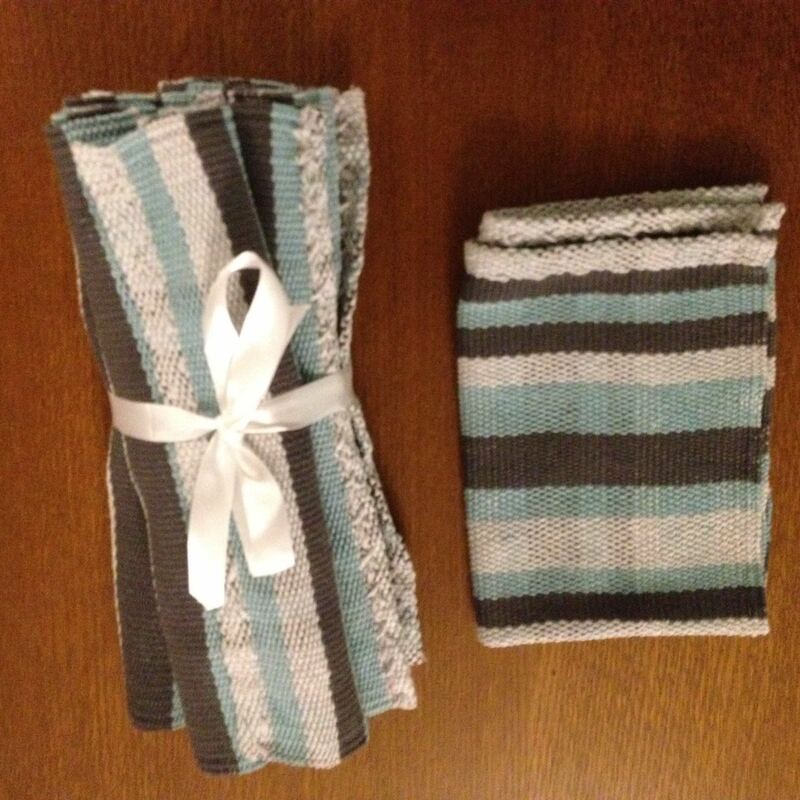 Set of 6 mats in light grey, dark grey, mid grey, denim blue, sea green and a single narrow stripe of red. 96 euros (16 per piece). SOLD. 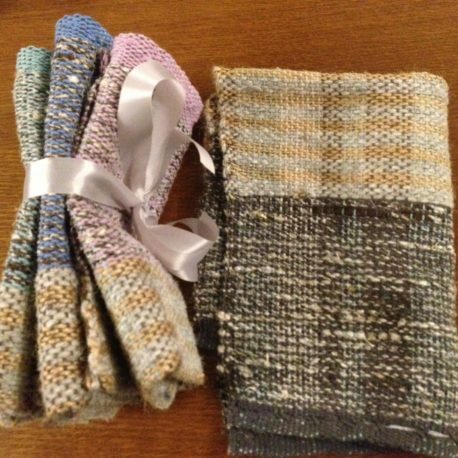 Set of 4 place mats. Set of 4 mats featuring a mixture of textures and fibres (raw linen, berber wool, jute and cotton). Wash with care. 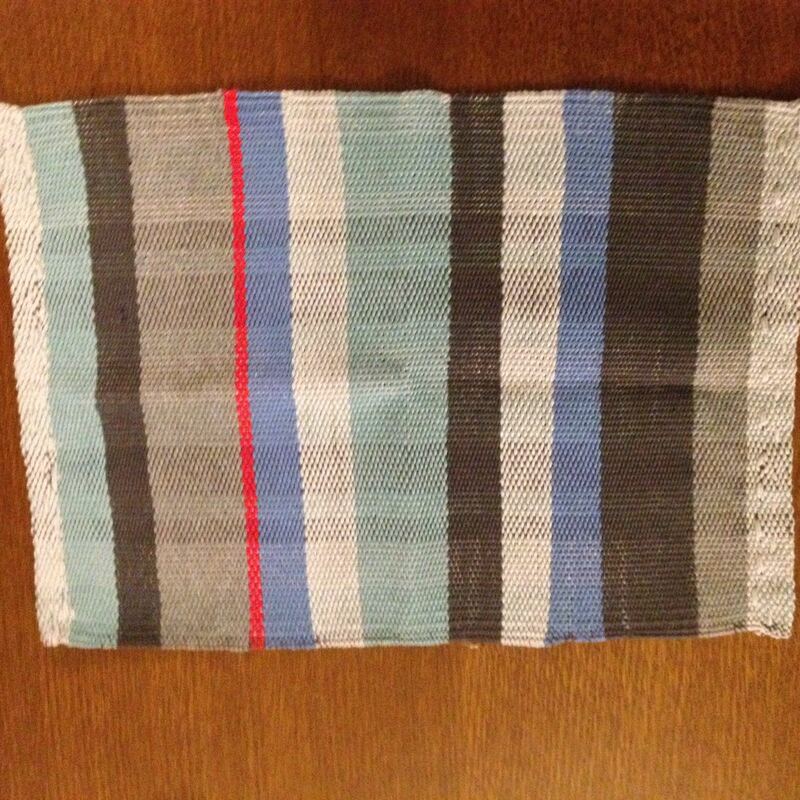 Each mat has the same form, but a different colour in the cotton part. 80 euros (20 per piece). SOLD. 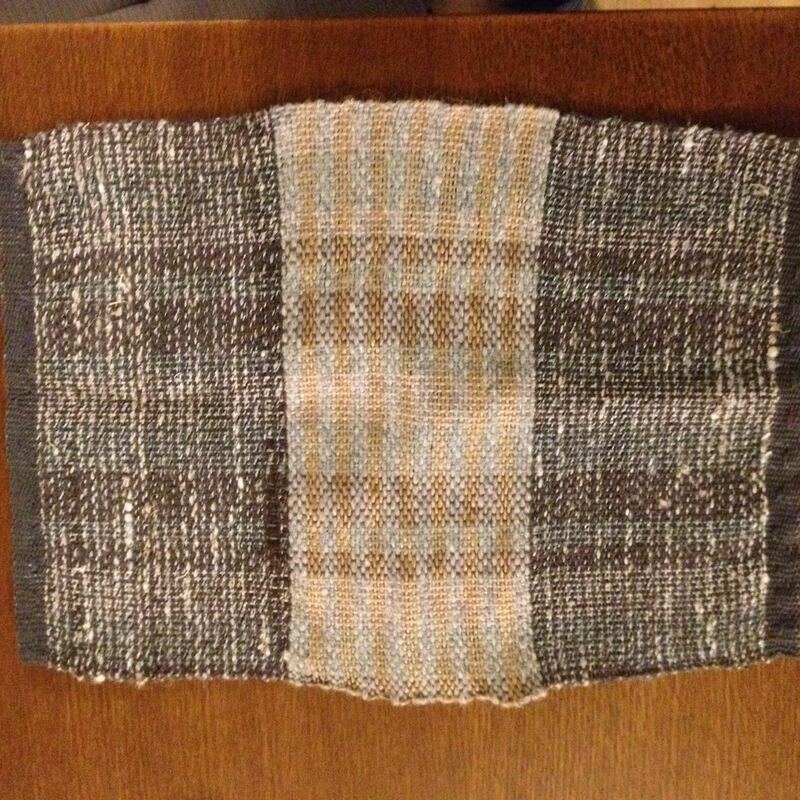 One of the place mats, with dark grey at the sides. 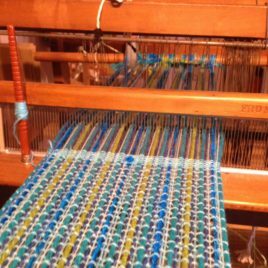 Other mats have lilac, denim blue and sea green. SOLD. 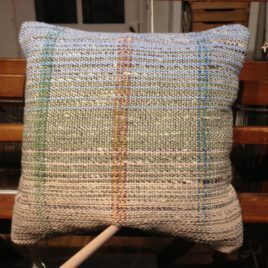 Handwoven Cushion Covers, 40cm x 40cm. 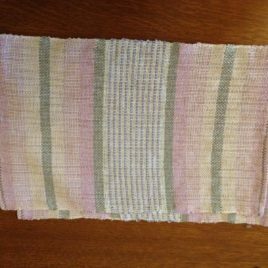 Front side handwoven fabric, reverse side grey or beige linen. 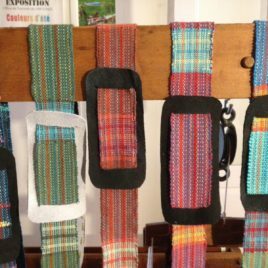 All weaving and finishing done by Gareth and Tsedey in our workshop in Najac, France.